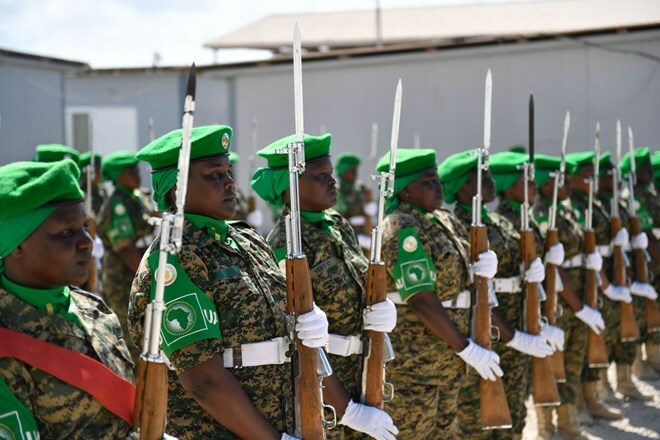 Nairobi – The European Union has pledged its continued commitment to support the African Union Mission in Somalia (AMISOM) to implement key programmes and activities under the Somalia Transition Plan. The commitment was made, yesterday, at the opening of the AMISOM budget meeting in Kenya’s capital, Nairobi, by the Team Leader of the EU-Africa/African Peace Facility at the Brussels-based European Union Commission, Jorge Pereiro Pinon. “European Union member states have pledged in principle to support AMISOM activities for the period 2019/2020,” Mr. Pinon said.The 28-country trade bloc is the largest contributor to African Union peace support operations, and through the African Peace Facility, the EU has been supporting AMISOM since 2007. 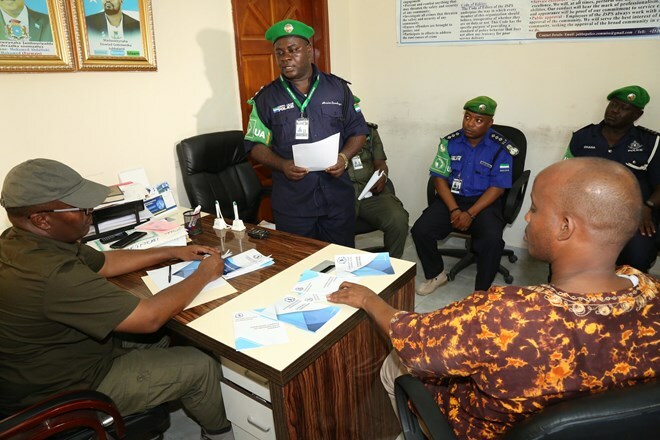 The EU funds cover allowances for AMISOM troops and police, international and local civilian staff salaries, operational costs of the Mission’s offices and the Al Jazeera Training Camp among others. Mr. Pinon said the support demonstrates the strong partnership between the EU and the African Union, adding that the trade bloc will continue assisting AMISOM in implementing the Somalia Transition Plan as mandated by the UN Security Council and the African Union. The Somalia Transition Plan is a comprehensive document, developed by the Federal Government of Somalia and its partners, to guide the transfer of security responsibility to Somali National Security Forces ahead of AMISOM’s exit in 2021. The Special Representative of the Chairperson of the African Union Commission, Ambassador Francisco Madeira, was thankful for the continued support of the EU and other partners. “I recognize and thank the immense contribution of our partners, especially the European Union, the United Nations through UNSOS (United Nations Support Office in Somalia) and UNSOM (United Nations Assistance Mission in Somalia), who have demonstrated to be important and reliable partners of the African Union in the journey to bring peace and stability in Somalia,” Ambassador Madeira said. His sentiments were echoed by the UNSOS Chief of Operations and Resource Management, Harjit Dhindsa, who noted that budgeting and finance will remain core to UNSOS operations in order to help AMISOM troops carry out operations effectively. “The budget discussions come at a time of reduced funding when the Mission is expected to do more using the available resources to implement the Somalia Transition Plan,” Mr. Harjit added. Apart from the EU, UNSOS is another key funder, providing logistical field support to AMISOM troops and Somali National Security Forces during joint operations. Commenting on budgeting-making, Biodun Adeyemo, the Acting Director of Programming, Finance, and Accounting said the decision by the AU Heads of State to reduce AU budget by US$32 million, during their Summit in February 2019, would impact on its programmes and activities. Despite the financial challenges, Mr. Adeyemo noted, the AU will continue supporting AMISOM in its efforts to stabilize the horn of Africa country. “Notwithstanding these challenges, the Commission is committed to implementing the Johannesburg 2015 decision of the member states, that is, supporting 100 percent of operational budgets, 75 percent of programmes and 25 percent of peace support operations,” Mr. Adeyemo observed. The two-day meeting is being attended by officials from the European Union, United Nations, African Union Commission and AMISOM. Representatives of multilateral agencies and foreign missions accredited to Somalia are also in attendance.